This Giant spider has a monstrous 4.5 foot leg span and a furry poly filled body! 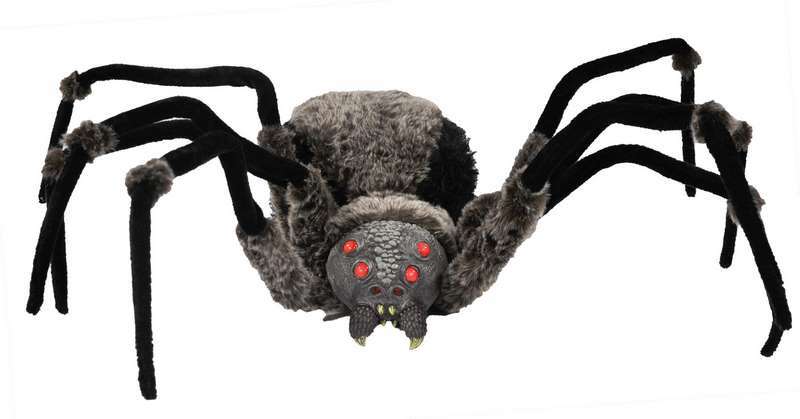 Multiple red led eyes light up with the flick of a switch, which gives a menacing appearance. There is a hanging loop on the tail end for displaying from a high location, or you can place on any flat surface. For indoor use only. Requires 2 C batteries (not included). Timer allows for 6 hours of operation.